Different colors and materials, Skid plates options, and extra durable or lightweight options available. Seat backs, tilted seats, foot braces, removable yokes and more! Use the order form to tell us what you want, make a deposit for materials, and we'll get right to work! Nighthawk touring canoes are available for solo, tandem or family paddling. They are all designed around the flat-water, touring canoe role (** see note at bottom of page). As such, they are similar in personality and handling, and differ mainly in size. They are paddling canoes, that excel at casual or lengthy trips on relatively flat water. 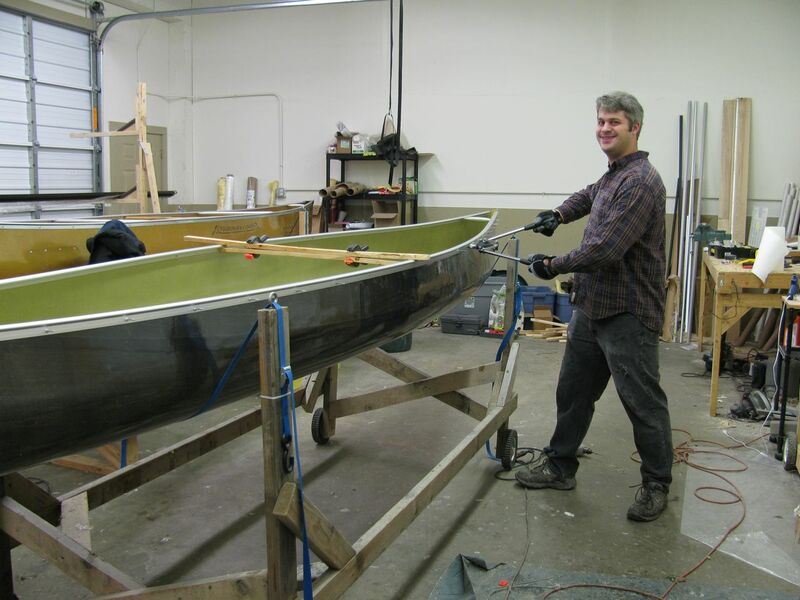 When most people think of canoes, they are picturing this type of canoe. Decide (or tell us) how you are going to use your canoe and that will help you choose the right model. Columba Solo Canoe: for medium or long distance solo paddling, with or without gear. Very fast with a 2-blade paddle. Cygnus Canoe: for light tandem paddling, mixed solo and tandem use, smaller paddlers, shorter trips. 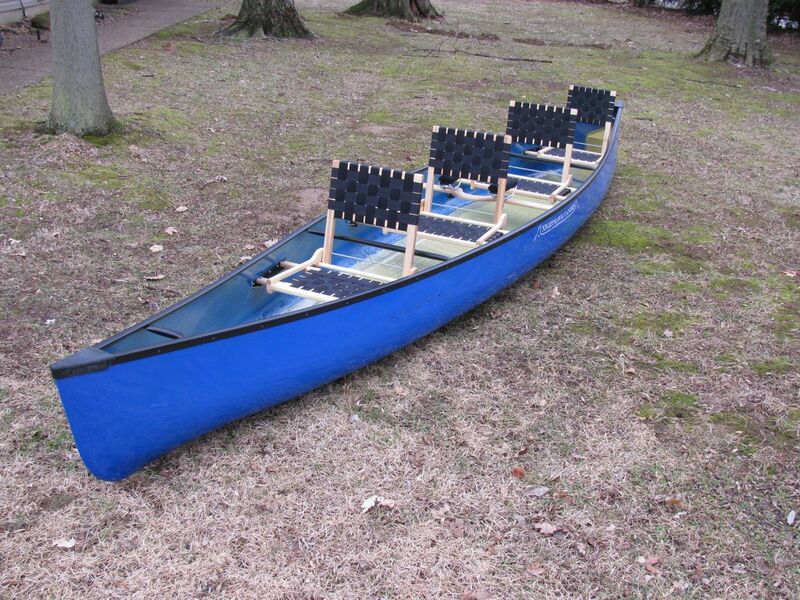 Also makes a great “big guy” solo canoe or a solo sporting canoe. Leo Canoe: for 2-person touring canoe, overnight or extended trips, small family canoe (up to 3 seats), occasional solo paddling. Pegasus Canoe: for family canoe (room for up to 4), 2- person expedition trips with lots of gear, or shorter overnight trips with up to 3 adults and gear. Paddles efficiently with maximum stability. Not for solo-paddling. * The Cygnus canoe tends to feel like a medium stability canoe to larger paddlers, but feels like a higher stability canoe to smaller paddlers. For use as a sporting canoe (fishing, hunting, etc), a Nighthawk Canoe can be equipped with our optional stabilizer kit and electric motor mount. This makes a worry-free platform that won’t tip, but is lighter and FAR easier to paddle than other sport canoes. Stability: The degree to which a canoe feels stable overall is a combination of the width of the canoe, the distribution of weight, and to some extent, the hull shape. The higher the weight is, the less stable a canoe will be… which means a taller paddler in a smaller canoe will feel less stable than a smaller paddler in the same canoe. (Less stable does not mean unstable… it means the canoe does not work quite as hard to right itself when disturbed from center.) Nighthawk canoes come with a seat height that allows kneeling (tucking your feet under the seat and bearing part of your weight on the seat, and part of your weight on the knees). The kneeling position tends to maximize your control of the canoe and makes it feel more stable, but can be a less comfortable paddling position. The seat height on all Nighthawk Canoes can easily be lowered, which makes a more stable canoe, especially if you do not need the option to use the kneeling position. 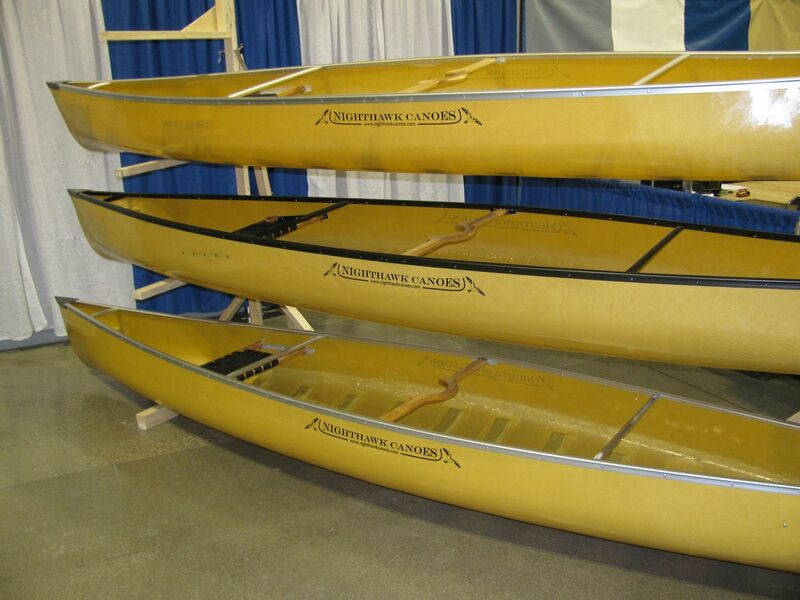 For normal tandem paddling, smaller paddlers are generally going to be more comfortable in the Cygnus or Leo canoe and larger paddlers will be more comfortable in the Leo or Pegasus canoe. Larger paddlers can more easily solo paddle the Leo canoe than smaller paddlers. In general, I recommend paddlers over about 180 lbs choose the Leo over the Cygnus, even if they plan to do some solo paddling. I consider these canoes to be very stable canoes. If you are not immediately comfortable, it is generally takes very little time to become comfortable in the canoe. If your canoe feels tippy, carefully monitor how you shift your body weight as you paddle… you may be able to eliminate some of the rocking motion with a more efficient paddle stroke. Also, consider mounting your seats in the lower position. If you need maximum stability (you have a big dog in the canoe, or you are fishing and need to stand up occasionally) then you may also want to consider adding our stabilizer kit as an accessory. Typically, Nighthawk Canoes feature better performance than canoes in the “general touring canoe” category, but much friendlier handling and stability than ones in the “performance touring canoe” category. Nighthawk durability is much better than most canoes of comparable weight. Custom configurations are easy to order, and our direct-from-the-manufacturer price is extremely competitive. Nighthawk Canoes are not designed for river rapids, and should not be used in rivers above class II. Canoes for fast rivers have different design requirements that make them easier to turn and harder to paddle. 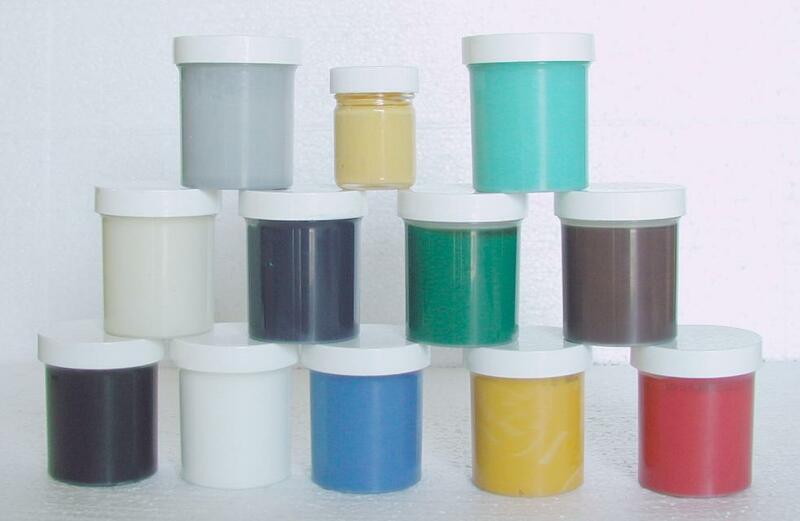 They are generally made of other materials and are much heavier.